Jon holds the top qualifications from France, Switzerland and Britain, and we can say firsthand that he is a great ski instructor! Jon heads up the team at Altitude Ski School – Verbier’s most established British ski school. Each month Jon or one of his team will provide us with a few tips and words of wisdom to help improve our understanding of skiing. Learning to ski can seem quite daunting; however, there has probably never been an easier time to learn to ski! The latest skis, comfy boots, warm clothing, comfortable lifts, and great native-speaking instructors mean the first lesson should be a very enjoyable experience. As a beginner you should feel safe and not be asked to do anything you are not comfortable with. The slopes should be very gentle, the pace of the lesson should be in line with your fitness level, and while you might fall your instructor will be there to help you understand how to avoid the same thing happening again on the next run. 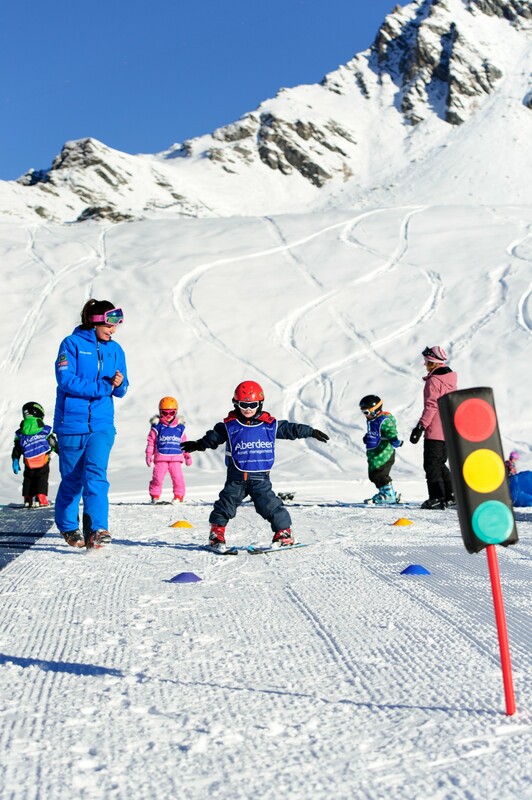 When skiing it’s advisable not to learn from loved ones – I would advise you to tell friends and family they won’t be teaching you and book a lesson with a local ski school. Choose a resort which has a good snow record and a few beginner slopes – this will mean the slopes are likely to be less busy and the snow will be in good condition, making it easy to turn. Pick a school that employs instructors who speak your language – you have more chance of improving if you understand what they are asking you to do. Practise on a dry slope or indoor snow dome if you have the chance. Tip: Don’t ski in powder – it’s not a beginner’s friend. Sliding – This is likely to be one of your first experiences. Stand above the centre of the ski and enjoy the ride – look forward, skis parallel, and keep your skis hip width apart. Try not to assume any strange positions; just stand in a slightly flexed position. The instructor should pick terrain where you will stop naturally. Snow plough – This will soon be your new best friend. Push the backs of the skis out in a V shape – this will create resistance against the snow and enable you to slow down. You will practise varying the size of the plough and seeing how this affects your speed. 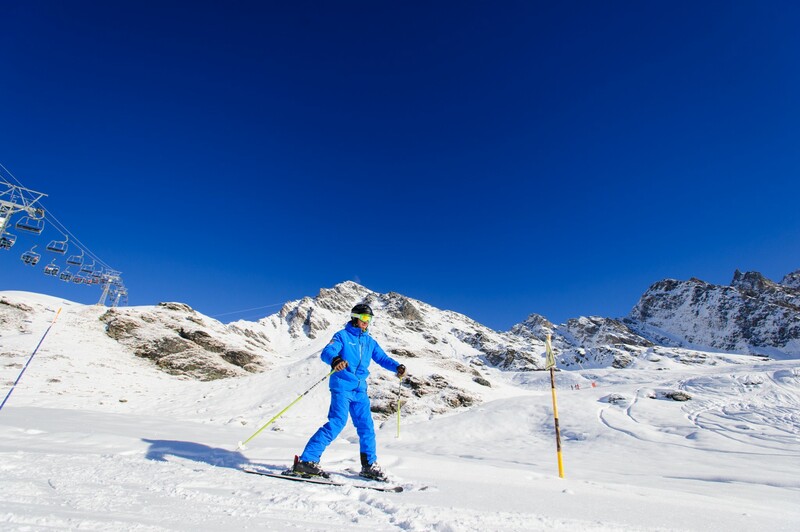 Tips – Try not to cross the skis, vary the width of snow plough and practise on a very flat slope. I’d recommend renting your boots and skis on your first ski trip, and try to borrow the rest of your kit from friends and family. It’s an expensive hobby so definitely worth checking that you enjoy it before spending too much (of course you will love it!). Skis – Make sure they are 20–30cm shorter than your height – shorter skis are easier to turn! Boots – They need to be relatively comfortable and supportive! You should be able to move your toes, but your heel should NOT come up in the boots once they are done up. When walking it’s often easier for a beginner to undo the boots, but remember to do them up before you ski! Tip: For best comfort learn which ski boot is your left and right ! Skiing, like other sports, can be demanding on your body. To limit your chance of any injuries or aches and pains each night, and to help you have more pleasure from the sport, it is recommended that you prepare your body in advance of the holiday. Try and start at least 6 weeks before the beginning of your holiday and you’ll notice a big difference. If you’re not keen on the gym, then even going for a brisk walk will give you a good cardiovascular workout. Think about using the stairs instead of escalators and up your level of exercise any way you can. Try whenever possible to get yourself a little bit out of breath. Activities such as cycling, running, rowing or stepping for 20 minutes three times a week will provide a solid base. The Altitude winter company portfolio includes the ski and snowboard school, the Futures instructor training programmes, and FREERIDE VERBIER, a new school dedicated to off-piste coaching in Verbier.